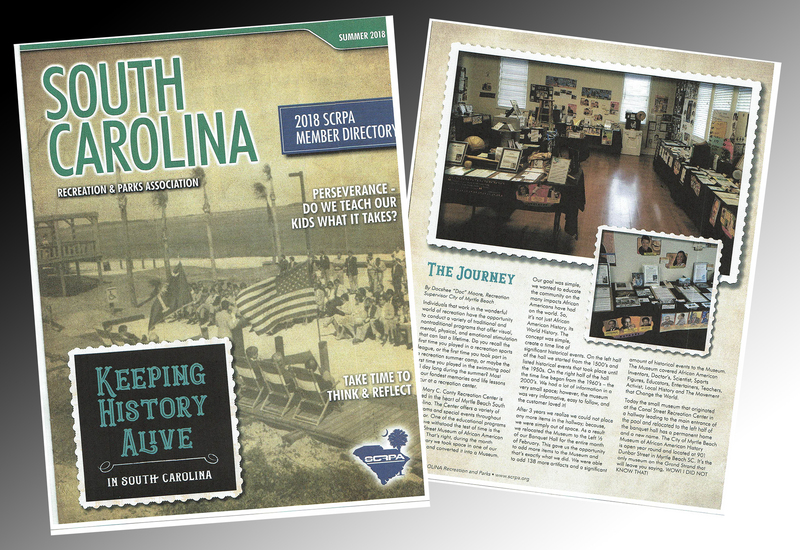 Two items from Myrtle Beach’s history are featured in the new issue of SC Parks and Recreation Association magazine. For a segment called, “Keeping History Alive in South Carolina,” two of the city’s recreation staff members contributed articles on local subjects. One is called “The Journey” and features local African-American history. The other is titled, “Federal Lands to Parks: The Myrtle Beach Air Force Base,” and looks at how the city has preserved those memories. In “The Journey,” Docshee Moore, director of the Mary C. Canty Recreation Center, writes about the African-American History Museum which now lives at the Historic Myrtle Beach Colored School Museum and Education Center. For years, Moore and the recreation staff would set up the museum during February, as part of the city’s Black History Month activities. Now, the museum is on permanent display, showcasing African-American inventors, artists, scientists, politicians, musicians and others who contributed through their ideas and inspirations. The second article focuses on the history of the former Myrtle Beach Air Force Base, which is preserved through more than 150 historical markers, two museums and several parks in what is now known as The Market Common. Dustin Jordan, director of the General Robert H. Reed Recreation Center, writes about the redevelopment of the former Air Force Base and the city’s emphasis on preserving the history of the area. The city’s goal is to keep the people, places and planes alive in our memories. To read the full articles in the SC Parks and Recreation magazine, click here.